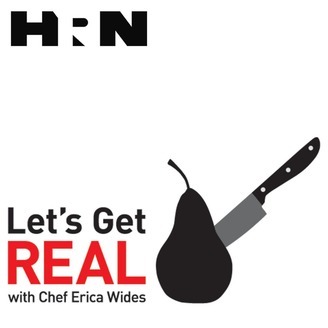 On Let’s Get Real Chef Erica Wides walks you down the aisles of the surreal world of food, serving up a heaping dose of reality by separating the food from the foodiness so you can forage, hunt, gather, trap and fish for real food anywhere, even in a foodiness-filled mega market. 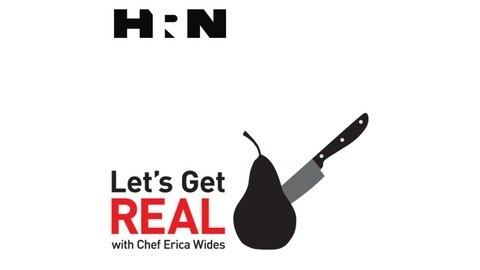 Incisive, pragmatic, sarcastic, and an unrepentant know-it-all when it comes to anything food, on Let’s Get Real Chef Erica Wides does the job for you of sifting out everything that’s fake in the world of food – from “foodiness” marketing and cooking show shams to “health-halo green-washing” and annoying whole-food righteousness – so you never unknowingly chow down on carpeting again. Episode 163: Scary Clowns, Apricot-Faced Barbarians, and Gluten; Who Ya Gonna Call? Episode 162: Let's Get Real...And Sharp. And Blunt! Episode 161: This Foodiness Was Made For Walking! Episode 160: Welcome back to the Fallout Shelter, now climate controlled by Foodiness!